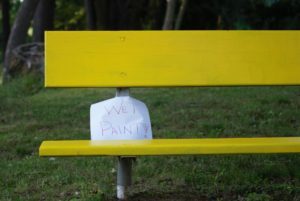 It happens either by accident like sitting on a park bench with a sign that reads “wet paint” but you didn’t notice it when you sat down. Or if you are doing your own house painting it is almost inevitable that you won’t get any even small amounts of it on your clothes and or skin. 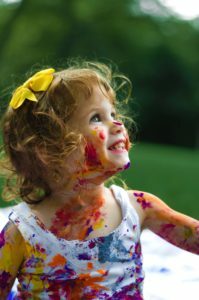 Have you gotten stuck wondering “How To Get Paint Off Clothes” we offer the following tips to help remove it from clothing as well as on hands or skin. So you are doing some interior painting work around the house. Just opening up the can of paint can sometimes cause that drip or splash to get onto your clothes or skin. Don’t despair it’s never to late to remove it and it’s easy too. First find out what type of paint it is by testing it. Simply rub some rubbing alcohol on the paint stain with your finger tip or a rag or sponge. If any paint comes off then that means it is a latex, acrylic, water based paint. Which is easy to remove with just some water and soap. If it is an oil based paint then it won’t rub off with the rubbing alcohol test and you will have to turn to using a chemical. To best know what procedure to use when trying to figure out “How To Remove Paint” you should know what kind of paint it is whether it is an oil based paint or a water-based paint. Latex, acrylic paints are water based and are quite easy to remove from either your clothing or your skin. If you have painted with an oil-based paint product then the process is a little more lengthy. Before resorting to chemicals such as turpentine or a paint thinner to try to remove paint from your skin, you can try using some vegetable oil right available in your home kitchen. Pour some onto a rag and begin rubbing in on your skin until the paint is removed. Most often times it will come off pretty easily. Whether it’s “wet paint” or it has dried up by the end of the day, removing it from your clothing or skin is pretty easy. Here are a few ways you can remove latex, acrylic water based paints. If the paint on your clothing is still wet and hasn’t had the time to dry and harden, simply scrape it off with either your finger nail or you can use the tip of a knife or end of a spoon. Rinse it under water, warm or cold will make no difference. You can also rub some dish soap on it and work up into a lather then rinse. You may have to repeat a couple of times until all the paint has been removed. We would first tell you to try using simple chemical free way with things you already have around the house before turning to chemicals. Take for example, vegetable oil. We all have some lying around the kitchen it’s a staple right. Well it also makes an eco-friendly oil based paint remover. As soon as you’ve completed your painting project just take some paper towels or a sponge or rag and pour some vegetable oil on it. Rub it on your skin or clothes until all the paint is gone. It will most times work. 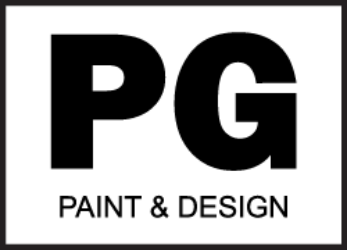 In the case that it does not, then you will have to purchase a paint thinner or turpentine, commonly used by professional painters to take care of their paint brushes and paint rollers. 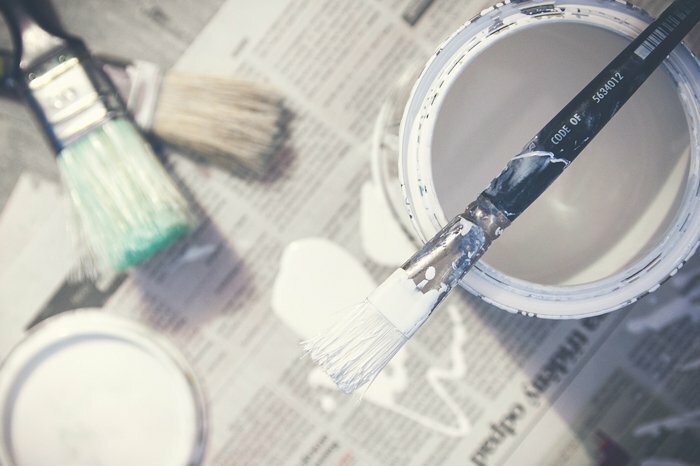 Although these days most house painting products are more water-based than oil-based as paint manufacturers have become more environmentally conscientious as well it is better for the health of the painter using it, where they are no longer breathing in toxic fumes, that cause illnesses and asthma allergies. 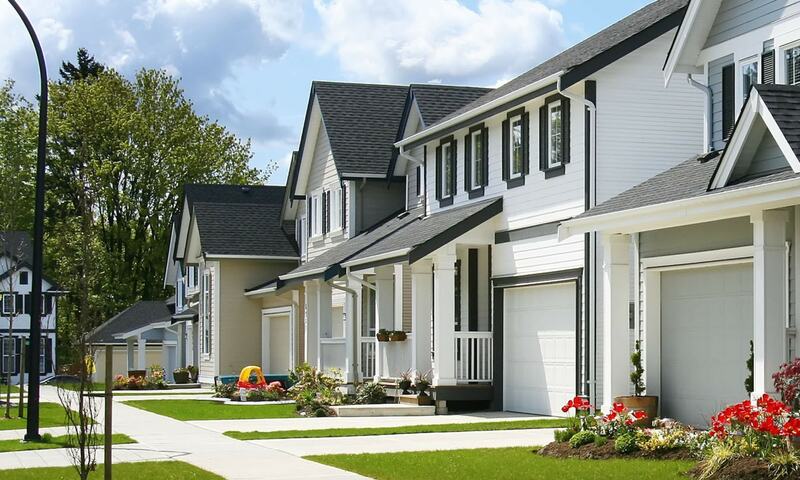 If you hire a professional house painting contractor to be working in your home and you accidentally get paint on you simply ask the painters what kind of paint it is and they’ll be able to offer you the best tips on removing it. Read more on interior painting tips and advice. Have questions simply drop us an email.